Just when you thought you had that clothing budget under control, more temptation enters the city's retail scene in the form of Topshop/Topman. The UK clothing brand has set up shop in the old Borders space at 830 North Michigan Ave, and officially opens to the public on Sept. 8th. Opening ceremonies begin at 9:30 a.m., and include a ribbon cutting with owner Sir Philip Green and a runway show featuring looks from the brand's Fall/Winter 2011. Until then, keep your eyes open for the Topshop/Topman branded truck which will be making random stops around Chicago handing out free stuff, including mystery gift cards that contain an amount anywhere from $5 to $100 to use in store. Check in with the store's Facebook page to see where the truck will pop up next. 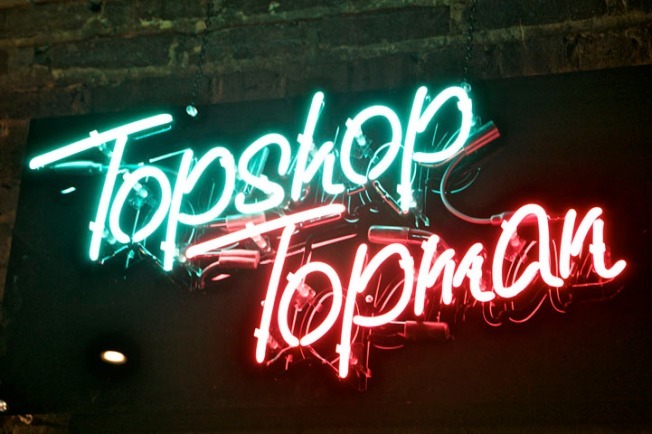 The 30,000-square foot flagship store is Topshop's second U.S. location after NYC's SoHo, with Las Vegas also set to join the ranks in March 2012.